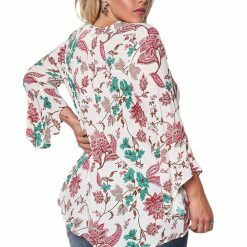 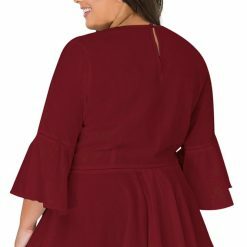 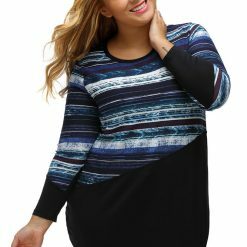 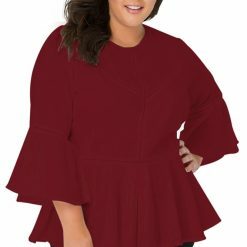 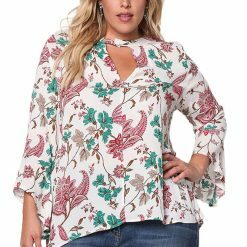 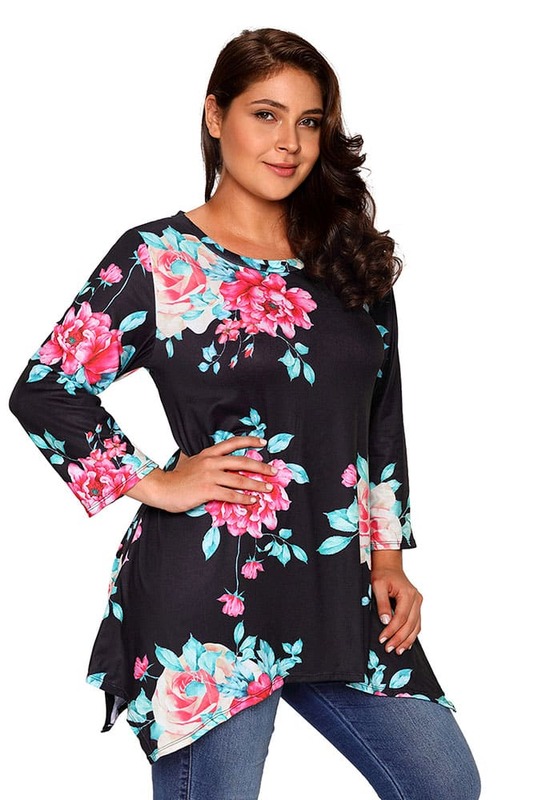 This plus size floral top features a casual, unconstrained staggered edge cut that stands out. 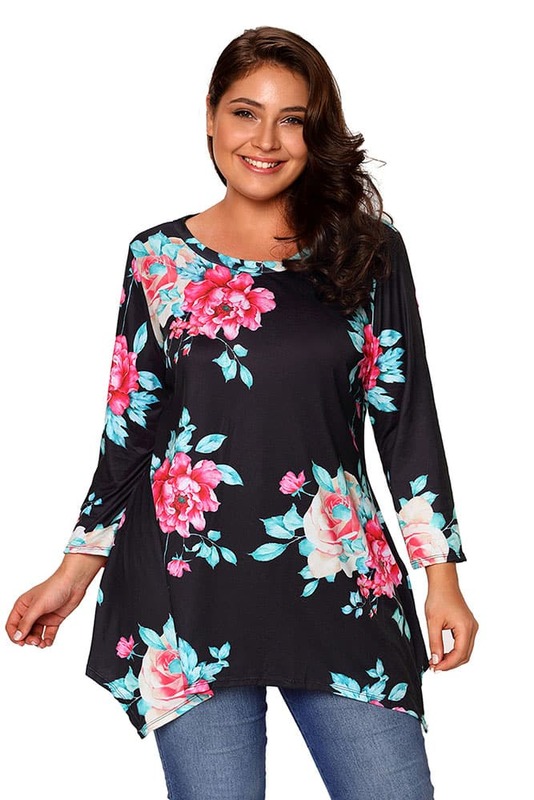 Feminine floral print all over, round neck and 3/4 sleeves that can be worn in all seasons. 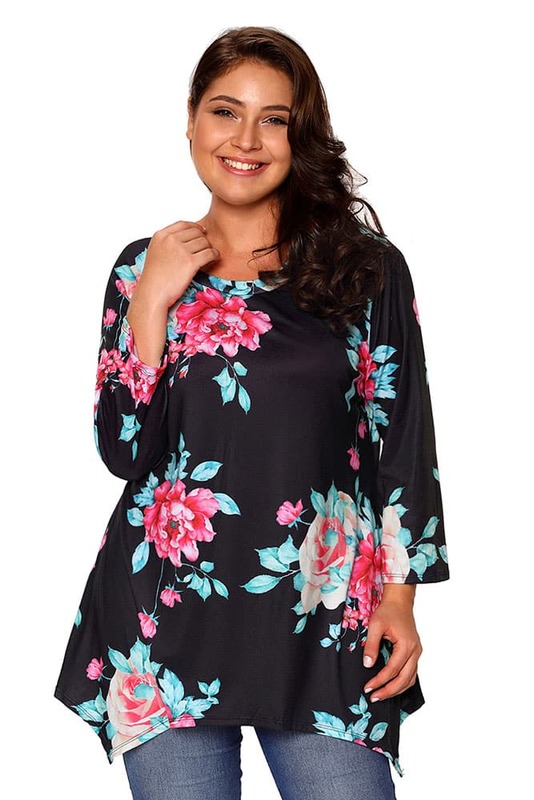 It’s lightweight and flows, for comfortable all day wear. 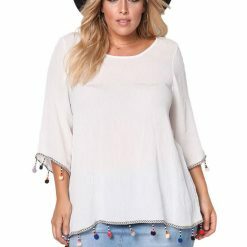 Pair with clinging jeans.